The Vico-TF2+ Premium was released in 2013 by the Taiwanese manufacturer Vicovation. This camera has great video quality day and night. A combination of Wide Dynamic Range (WDR) with a feature called Vico-schedule enhances the image quality at night without negatively affecting daytime recordings. Do not confuse this camera with the Vico-TF2! It’s a different model. The TF2 has a slightly better aperture (F/2.0 instead of the TF2+’s F/2.2), but the viewing angle is smaller. 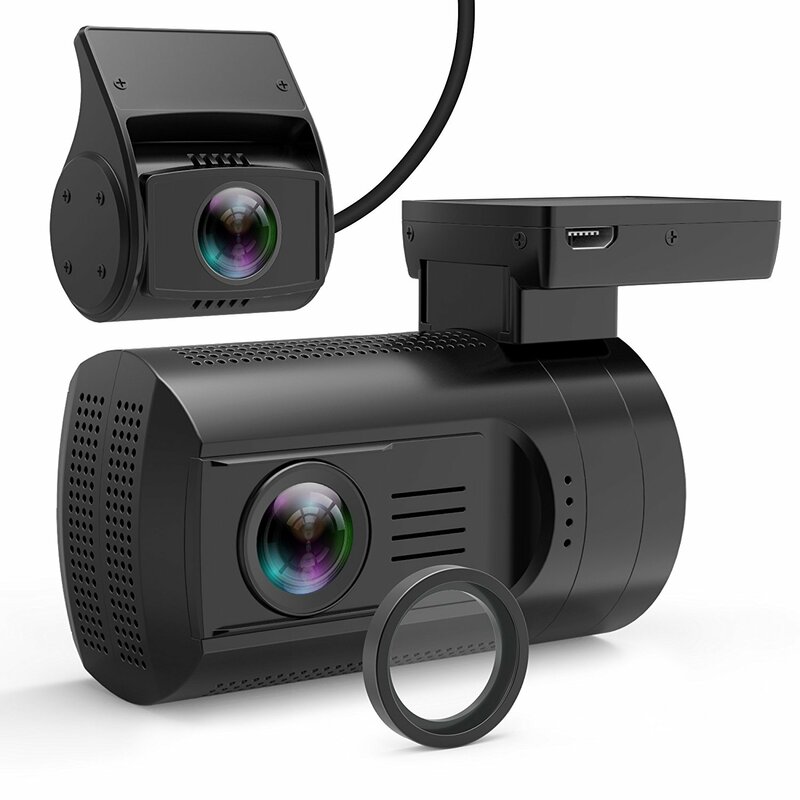 The Vico-TF2+ has a diagonal viewing angle of 160 degrees (can also be set to 140°), which is about as large as it gets as far as dash cams are concerned. The Vico-TF2, in comparison, only has a viewing angle of 130 degrees. The main drawbacks of the Vico-TF2+ are its size and form factor. If you’re looking for a discreet, unobtrusive dashboard camera, you might prefer a BlackVue DR500GW or a LK-7900. On the other hand, the large casing makes this camera very heat resistant, so if you live in a tropical region or you have hot summers, the operating temperature range of 0˚C to 75˚C (32˚F to 167˚F) will definitely be interesting for you. This model has an integrated 2.4″ screen. While it doesn’t provide GPS functionality, it comes with all the basic dash cam must-haves like auto on/off, loop recording, date and time stamp and G-sensor. It doesn’t have a parking mode though. Video recording is seamless, meaning there are no gaps between video segments. There is also an option to record inverse video in case you want to position your camera upside down, in which case the on-screen menu will be inverted. The TF2+ lets you tag your videos (e.g. with your name or a title) and it features a red “emergency” button, which when pushed will save 30 seconds of video before and after the moment from getting overwritten by the loop recording. To sum it up, due to its impressive video quality, this camera is a great choice if you are looking for a heat-resistant dash cam with a wide viewing angle, as long as you are okay to do without GPS and a parking mode. As always, to appreciate original Full HD video quality, set video resolution to 1080p (using the cog icon in the lower right), then set video to full screen. Daytime video quality is nothing short of excellent. Hardly any reflections on the windshield even when driving towards the sun. The high viewing angle results in a fisheye effect with high buildings caving in a bit on the viewer. If you prefer a more regular view you can always set the viewing angle to 140° instead of 160°, but generally we would prefer to capture more detail except maybe when recording a scenic drive. Nighttime video is also of great quality. All surrounding details including license plates are clearly visible. There is hardly any glare from surrounding lights as with many lower quality dash cams.